A few friends and I stopped here for impromptu drinks and apps after a lovely walk on the highline (http://www.thehighline.org/) which, by the way, I HIGHLY suggest if you’ve never been. We chose this spot because it was close and had outdoor seating with great people-watching tables. It was the most beautiful day and we couldn’t have picked a better place to sit for an hour. I had a deliciously minty mojito and shared 3 appetizers. 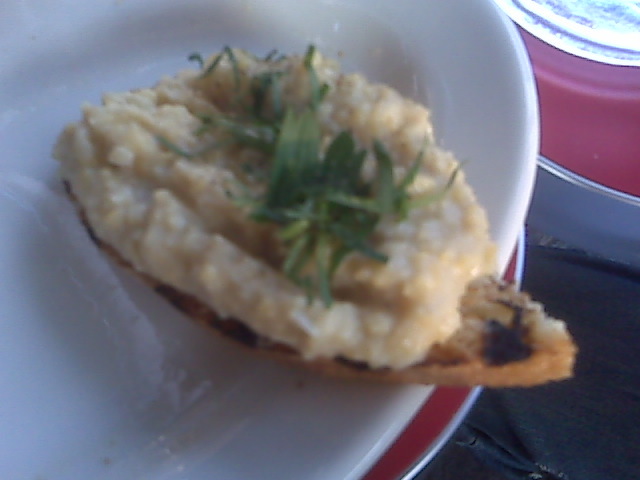 The chick pea bruschetta was filling but wonderful, it had a slight lemony flavor, a hint of garlic and a great consistency. 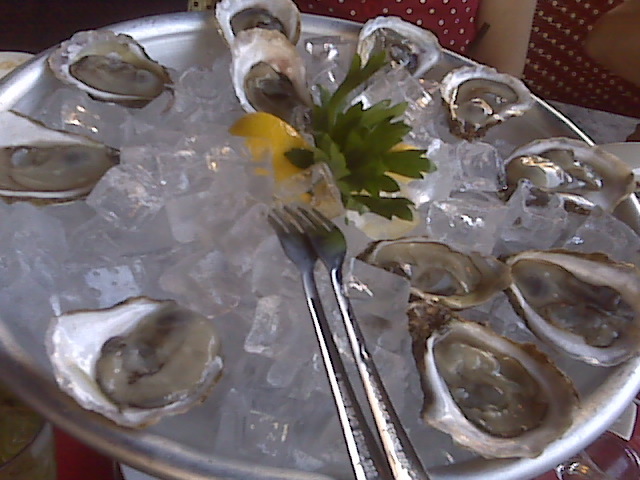 The oysters were outstanding- pretty tiny (which I personally prefer over huge slippery mouthfuls) super sweet, extremely fresh and not at all fishy tasting. I loved topping them with the light shallot vinaigrette sauce that came with them to contrast the salty sweetness of the oysters. The cocktail sauce that came with them was also fine, but not particularly interesting. 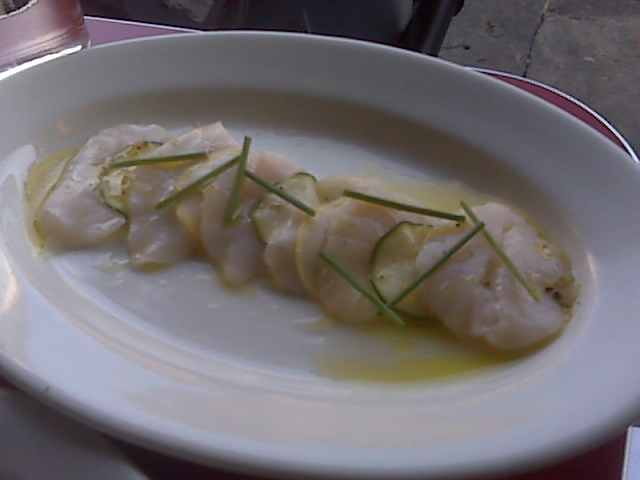 We also had the most incredible raw scallops with zucchini and squash and it was really amazing. I was not expecting to love it so much, but on a hot summer day, the cool sweet scallops were refreshing and succulent, not at all filling, and they totally satiated my curious palette. I was expecting ceviche and the lemon/lime citrus of it, but this really was not ceviche. It was much purer tasting and the integrity of fresh scallops were enough to make it an exciting dish. What a great find this was. Isn’t is the BEST when you stumble onto something by accident that turns out to be fantastic? I think so. Go check it out and see if you agree.